Artists Within Makeup Academy is the only makeup school to offer government-sponsored student loan assistance for your makeup classes. 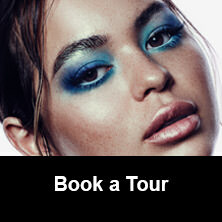 Learn about the different funding options available so that you can study at one of the top accredited makeup artist schools in the country. 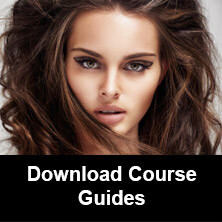 Start makeup courses with us today! Below is a detailed summary of the method of payment available to our students, as we do require the Full Tuition Payment by or on the First day. Once your application is approved, login to your Student Aid account and follow the instructions on how to complete your loan agreements. You cannot receive your money until your agreements are complete. If you choose, you can have funding provided by a bank through a Student Line of Credit. Most students will need a co-signer, so make sure you are fully prepared for when you book your appointment with a personal banking officer. Also it is very important that you look into what your bank offers in terms of interest rates, as well as their paying back policies. In order to receive a Student Line of Credit from the bank, they will require a Proof of Enrolment letter from the school. This means you must be registered and enrolled at the Academy. Once enrolled the Administrative Director will give you a Proof of Enrolment letter for the bank. To find out more information about Student Line of Credits, contact your Financial Institute and ask to speak to a Personal Banking Officer.